As promised, I'm going to write my thoughts about the Apple Keynote that took place on the 9th september 2014 where 3 major announcements were made. After a few minutes, Tim Cook skipped talking about the sales, building new Apple Stores and more and went directly to announce the new iPhone. Or iPhones, as there is an iPhone 6 and an iPhone 6 Plus now, where the differences between the two models are at the screen size, battery life and iOS interface. Starting at the screen size, both the phones have an obvious larger screen size than their predecessors making them able to compete with other smartphone flagships who have had a 4.5+ inch screen size for the past 2-3 years. 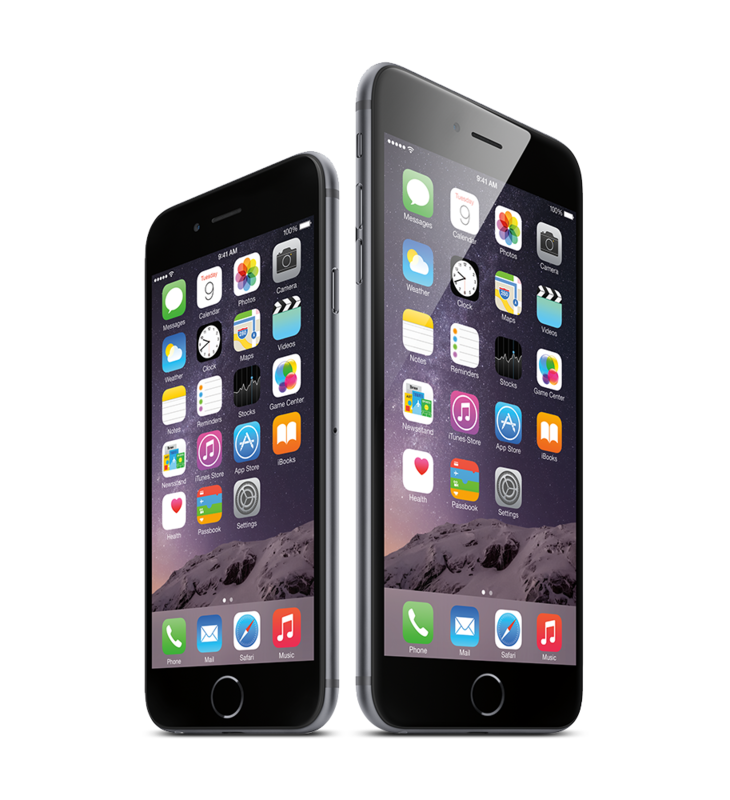 I'm glad they offer two options whereof you can either choose for the 4.7 inch size, and as someone who uses a 4.7 inch phone I think this is the ideal size for a smartphone, or you can choose a 5.5 inch 'phablet' version called the iPhone 6 Plus, which is probably a bit too big for the average consumer. However there is a market for a screen size this big, just look at how much units of the Galaxy Note series and other big-screen phones are already sold. Moving on to the next differentiating factor of the new generation, there is also a big difference in terms of UI: the Plus model displays more content such as avatars in the Messaging app, it has the ability to show the homescreen in landscape orientation and it offers a new gesture called 'reachability' that is activated by touching the homescreen button twice and then the interface of the app you're using moves about 1/2 of your screen down whereby you can reach the UI elements at the top of the app more easily with your thumb. What I'm digging the most is the new design treatment the duo has received. I'm happy that Apple has finally stepped away from the extruded rounded rectangle design that they have been using since 2010, and adopted the round border of the iPad Air. The beautifully crafted volume and unlock buttons are also integrated in said border by sticking out maybe a millimeter in a subtle way making the iPhone look like a sleek and solid slab. When looking at the back you'll see these thick lines running across the top and bottom horizontally. Why are these 'ugly lines' so huge you may ask? That's because of something which happened a few years ago called the antenna gate: aluminium (in this case anodised aluminium the back is made of) is a material that happens to be very good at blocking signals, be it wifi or radio signals. That's why you will always see these odd lines on the back of phones with an aluminium back, they make it easier for signals to reach the communication components inside the phone. The HTC One, Lumia 925 and a few more are some examples where this is applied. To sum it all up, I feel the need to say that this is one of the most attractive iPhone models to date, not only because of the new design but by also how thin the thing is, just a mere 6.9 and 7.1 mm. 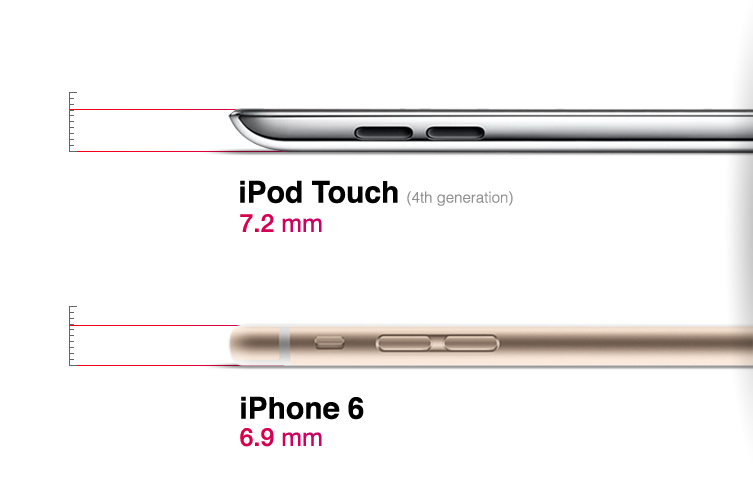 To give you an idea how thin this actually is, the 4th generation iPod Touch is 7.2 mm thin. For the people who didn't have the 4th gen iPod Touch, this should give you an idea of how thin the new iPhone is. The next thing Tim unveiled at the Keynote was a device to compete with the current smartwatch market called the Apple Watch. I have some mixed feelings about this one, on one hand I'm glad to see them coming up with a new device but on the other I'm a bit disappointed (particularly in terms of UI) but I'll tell you why in a minute. First things first, let's talk about the design. The Watch is without doubt very thick compared to its competitors because of all the sensors that needed to fit into that small piece of metal. 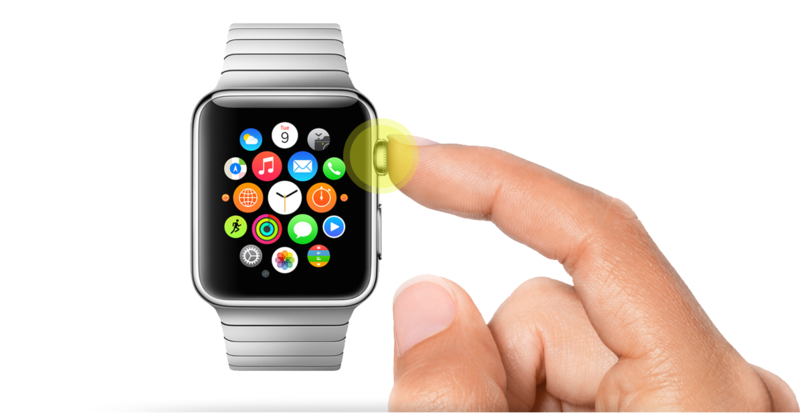 To operate the watch you can either touch or press the pressure-sensitive screen, or use the so-called "digital crown": this is a small knob on the side of the screen which, when you press it, also is a tiny home button. 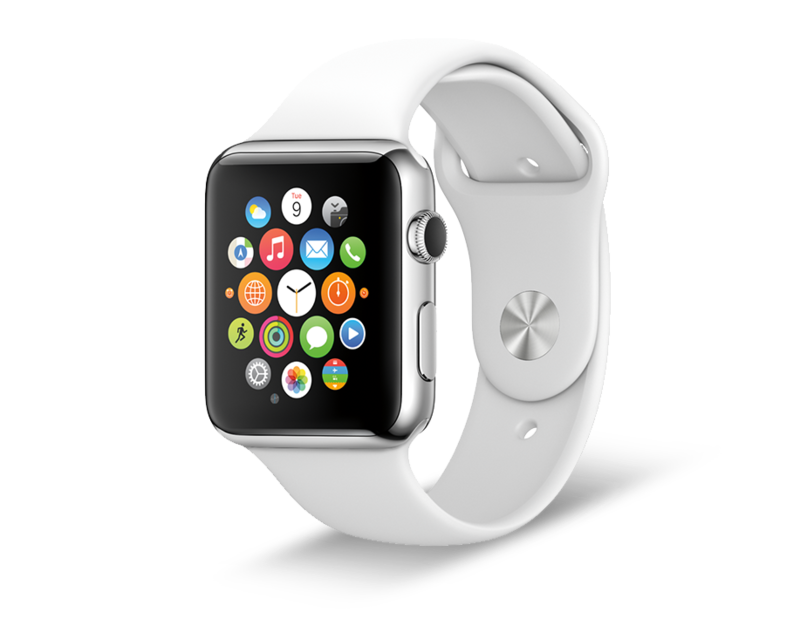 In the first category, the 'Apple Watch', the body is made of stainless steel and the screen is protected by sapphire crystal. I'm already holding my breath for the material the body is made of, because stainless steel is really sensitive for scratches and fingerprints. I don't know how they thought this would be a good idea considering that the material is being used for a product that's going to be worn near one of the most active and dangerous parts of the human body (I'm talking about the arms and hands, if you were wondering). Moving on to the next kind, the 'Apple Watch Sport', has a body made of anodised aluminium and has a screen protected by strengthened Ion-X glass. This is the only one of the three versions I really like because of how great the anodised aluminium looks (especially when combined with the white band). And the last version is the 'Apple Watch Edition', the more fashion-orientated watch with a case crafted from a 18-karat gold. This is a first for Apple to have a first-gen product that houses almost the same amount of functions and apps (if not more) other smartwatches already have. Take the the iPhone for example: back in time before the iPhone was unveiled, the smartphone market was flooded with phones that were very complicated, hard to use and hideous designed until the iPhone came around and only had a few select amount of easy-to-use apps and functions while the existing smartphones had thousand of complicated functions and applications. Then the world met the iPhone, it gave you acces to the essential functions of a smartphone and its interface was easy to understand and use. In other words, it offered the core experience of a smartphone in an user-friendly way and it wasn't until iOS 2.0 when you could expand your app library when the App Store was introduced. But the Apple Watch ships with a lot of apps already available that are all sorted out on the homescreen in a honeycomb formation, which is not necessarily a bad thing, but what bothers me the most is how much of a mess the interfaces of these apps are. 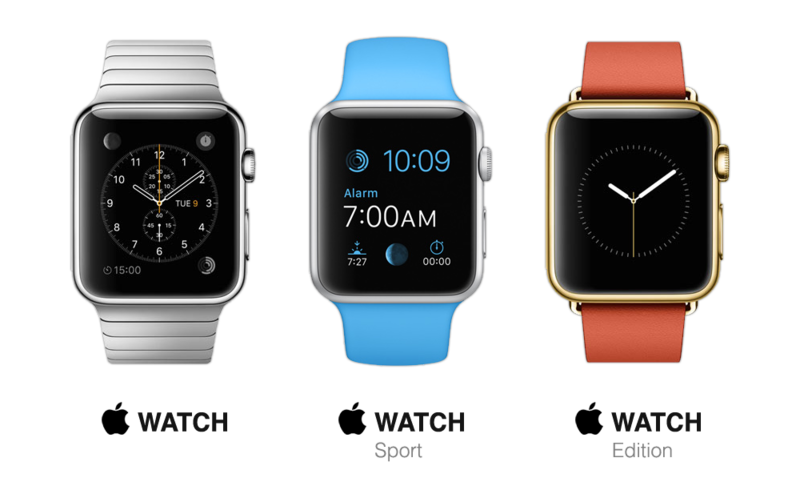 The most pleasant part of the Apple Watch is the removable band, I think it's a great way to personalise your watch. 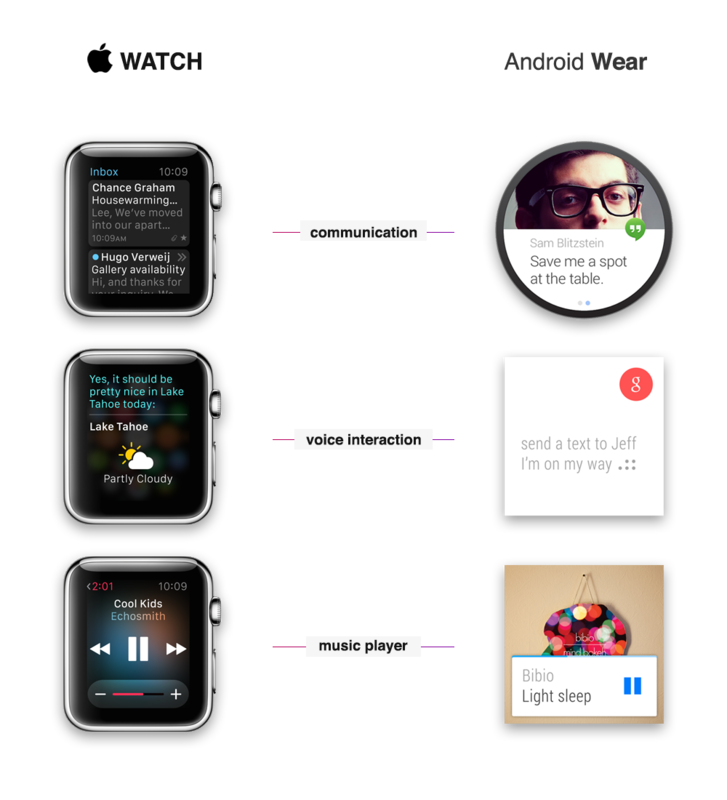 You can for example exchange wristbands with friends, change the look from your smartwatch from 'classy' to 'sportive' to 'modern' and it enables third-party companies to develop new wristbands. I also absolutely adore the way how the bands are easily attached: you just slide the band into the small slot and your band is attached when you hear a small but satisfying "click" sound. Overall it was one of the most exciting keynotes I have watched from Apple and despite the horrible livestream I was very satisfied with the new products announced. The iPhone has finally grown up to be more open software-wise with widgets and custom keyboards coming with iOS 8, it has received a new design and it's no longer slacking behind with its screen size. The iWatch rumours turned out to be true but I'm still not really impressed with the Apple Watch. It has a great amount of potential to grow though and developers will soon be able to start developing new apps and ways to interact with the smartwatch and maybe we will undergo the same digital revolution as we went through the years after the iPhone was introduced. But most importantly, after Tim Cook dropped the legendary words 'one more thing', introduced us to a completely new device from Apple and discontinued the iPod Classic, Apple finally entered exciting new times where Tim now has proven he can successfully take over Steve Jobs his role in the company. This is the beginning of a new era for Apple, the post-Jobs era.